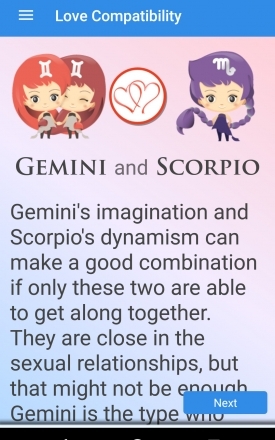 Is your zodiac sign compatible with your partner's? The results might surprise you! 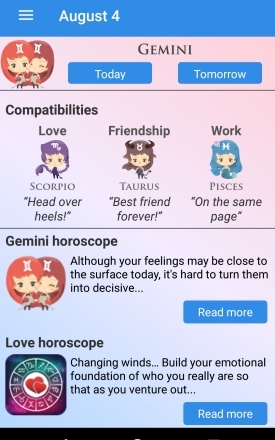 Zodiac Compatibility gives you an insight on your love relationships. Do this love test to understand what does not work, overcome problems and be more happy with your love life. 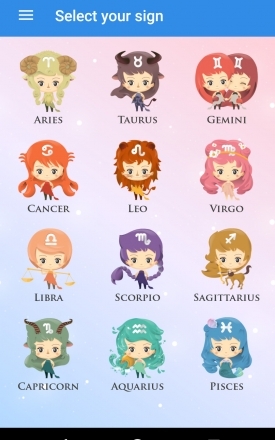 Which zodiac sign is the best match for me? How long is our relationship going to last? What are the origins of my love issues? 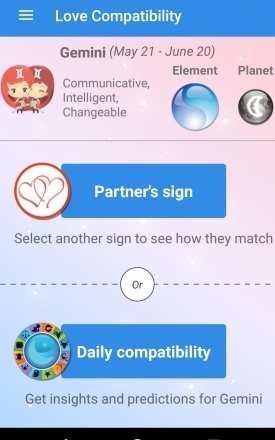 This app provides a love compatibility test based on the zodiac signs for Aries, Taurus, Gemini, Cancer, Leo, Virgo, Libra, Scorpio, Sagittarius, Capricorn, Aquarius and Pisces.